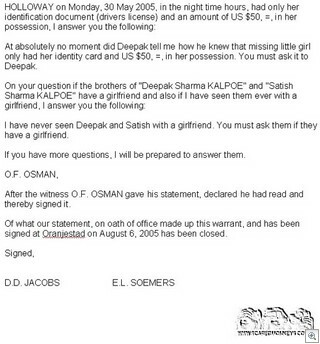 So why would Osman be asked by the police about what Natalee Holloway had on her and what Deepak may have said to him? (Drivers License and approximately $50.00). Why would Osman even be questioned? 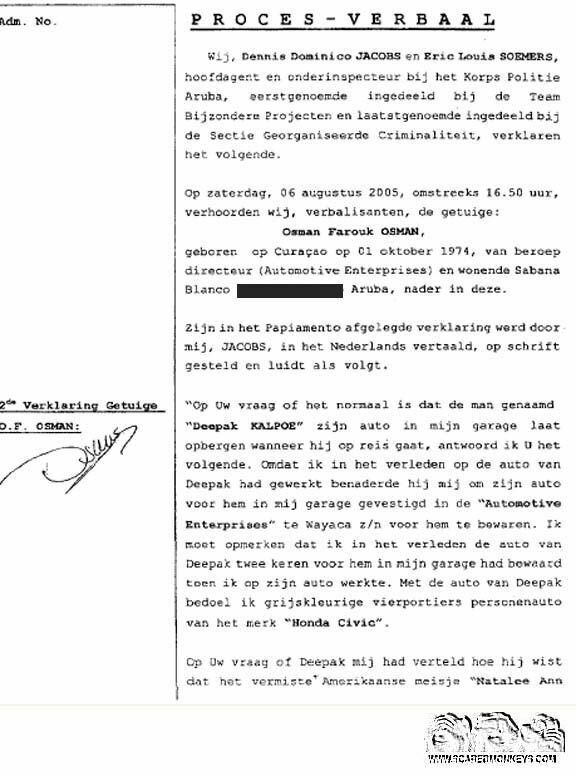 Osman is the owner of the Automotive Enterprises. 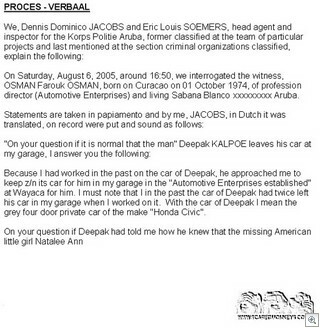 Remember this comment from the police tapes when the three suspects were taped in the back seat of the police car.